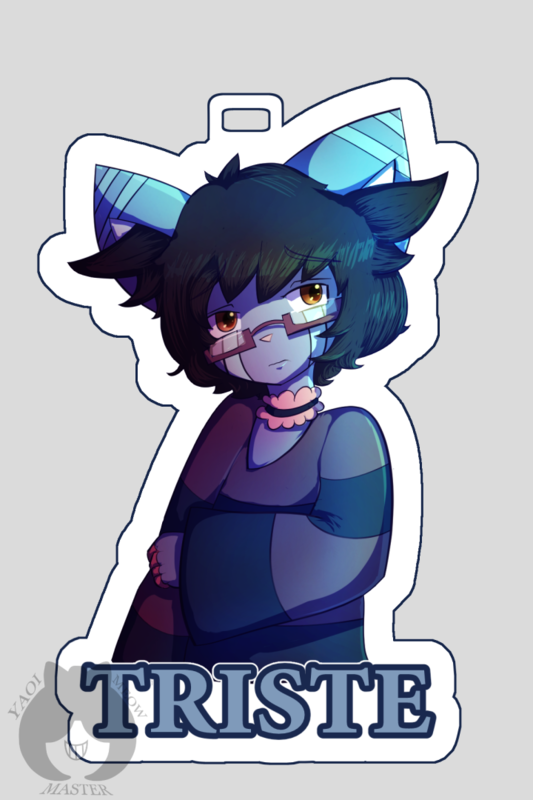 Heres another badge, this time of my lovely Triste baby. I can never get enough of him, Buuuut theres a couple badges coming of my other OC's as a few more possible examples. Stay tuned guys ;) Also...yes I may be interested in cosplaying my ocs in the future. Is that vain? Too bad I'll do it anyway. I'm prepared to do at most 2 rush orders by the 27th to make badges in time for anthrocon and Anime Expo. Please email me at nyvivianv@gmail.com with a reference to order one.